A Division Bench of the Madras High Court on Thursday delivered a split verdict on the petitions challenging the disqualification of 18 dissident AIADMK MLAs owing allegiance to AMMK leader TTV Dhinakaran. While Chief Justice Indira Banerjee upheld the Speaker's decision, Justice M. Sundar disagreed. The matter will now be heard by a third Judge nominated by Justice Huluvadi G. Ramesh. Till the decision of the third Judge, no floor test will be conducted in the House. The MLAs who had been disqualified were: Thangatamilselvan (Andipatti constituency), R. Murugan (Harur), S. Mariappan Kennedy (Manamadurai), K. Karthirkamu (Periyakulam), C. Jayanthi Padmanabhan (Gudiyattam), P. Palaniappan (Pappireddipatti), V. Senthilbalaji (Aravakurichi), S. Muthiah (Paramakudi), P. Vetrivel (Perambur), N.G. Parthiban (Sholingur), M. Kothandapani (Tiruporur), T.A. Elumalai (Poonnamalee), M. Rengasamy (Thanjavur), R. Thangathurai (Nilakottai), R. Balasubramani (Ambur), Ethirkottai S.G. Subramanian (Sattur), R. Sundaraj (Ottapidaram) and K. Uma Maheswari (Vilathikulam). The MLAs had been disqualified on 18 September, 2017 by the Speaker, P. Dhanapal exercising his powers under the Tenth Schedule of the Constitution of India and the Tamil Nadu Legislative Assembly (Disqualification on ground of defection) Rules, 1986. The disqualification proceedings emanated from a meeting between the 18 petitioners (apart from one more MLA S.T.K. Jakkaiyan who subsequently joined the ruling camp) and the then Governor (in-charge) C. Vidyasagar Rao on August 22, 2017. During this meeting, the MLAs handed over identical representations to the Governor "withdrawing their support" to the Chief Minister. This meeting, and the subsequent press briefing by the MLAs had prompted the Chief Government Whip S. Rajendiran to petition the Speaker on 24 August, demanding that the 19 MLAs be disqualified as their actions amounted to voluntarily giving up membership of the party. The MLAs, on the other hand, asserted that submission of representations to the Governor does not amount to giving up their membership. The Speaker had, however, disqualified 18 out of the 19 MLAs, exempting Mr. Jakkaiyyan, who had met the Speaker and informed him that he was pressurized into submitting the representation to the Governor. The disqualified MLAs then approached the High Court. Senior Advocates Dr. Abhishek Manu Singhvi and Mr. P.S.Raman appeared on behalf of 12 and 6 writ petitioners respectively. Senior Advocate Aryama Sundaram appeared on behalf of the Speaker and his Secretariat. Senior Advocate Mukul Rohatgi appeared on behalf of the Chief Whip, and Senior Advocate C.S. Vaidyanathan represented Chief Minister Edappadi Palaniswami. It was in November last year that the Petitions were referred to a Division Bench by Justice K. Ravichandrabaabu, in view of the constitutional issues involved in the case. The Bench comprising Chief Justice Indira Banerjee and Justice M. Sundar had thereafter, on 23 January, reserved its order. At the outset, Justice Banerjee established the fact that the final authority to take a decision on the question of disqualification of a member of the House vests with the Chairman or the Speaker of the House. She then went on to elaborate on the power of the Speaker to decide on an MLA's disqualification, and went on to rule out allegations of bias and malafides. She observed, "In the instant case, where the Speaker, being the repository of power to decide the question of disqualification under the Tenth Schedule, has passed the impugned order after giving the writ petitioners sufficient opportunity, it cannot be said that the order impugned is vitiated by malice in law, malice in fact or mala fides. Be it noted that, in the writ petitions, there is no allegation against the Speaker of harboring any personal enmity against the writ petitioners." On the allegations of violation of principles of natural justice, she noted that the MLAs had been issued notices and that they had filed three interim replies. In view of such opportunities, she opined that they had been given ample opportunities of being heard. Justice Banerjee further asserted that voluntary giving up of membership of a political party need not necessarily mean tendering resignation from the party. She then noted the Governor might have drawn the President's attention to the political scenario of the State and thereby invited President's rule, dislodging the government or alternatively called for a floor test. "If the effect of withdrawal of support and calling for initiation of constitutional process meant fall of the Government constituted by the party, that, in my view, would tantamount to implied relinquishment of membership of the party and would attract disqualification under Paragraph 2(1)(a) of the Tenth Schedule," she observed. She then opined that the Speaker's decision did not warrant any interference as the view taken by the Speaker was possible, if not plausible. Interference, she opined, is only undertaken when there is a patent error of law which goes to the root of the decision. Such error was not found to have taken place in the impugned decision. Justice Sundar noted that the Court had been addressed on two aspects: (i) status and character of the high office of the Speaker, and (ii) scope of judicial review when an order of the Speaker is called in question. With regard to the first aspect, he noted that there existed no dispute on the assertion that the office of the Speaker is a very high constitutional office and is a Tribunal exercising quasi-judicial powers when issues such as disqualification are adjudicated. He further took note of judicial precedents to observe that the Speaker's order can be reviewed by the Courts on the following four grounds: (a) violation of constitutional mandate; (b) non-compliance with principles of natural justice; (c) mala fides; and (d) perversity. Justice Sundar then ruled that the impugned decision rendered by the Speaker was hit by all four grounds of judicial review. Firstly, he asserted that the request by the 18 MLAs for oral evidence and cross-examination ought to have been granted, as the question as to which of the two factions (E. Madhusudhanan and others on one side and V.K. Sasikala and another on the other side) is the 'political party' on which the MLAs concerned were elected was pending before the ECI. This was the two leaves symbol case. "ECI proceedings are referred to only to highlight that the question of which entity is 'AIADMK' in whose ticket the MLAs were elected itself was in issue on the date of the impugned order and therefore, the question of whether an MLA has 'voluntarily given up his membership of AIADMK' could not at all have been decided much less decided conclusively on the date of the impugned order," he asserted. Hence, he ruled that the Speaker's decision violated constitutional mandate as well, as it was the ECI who was the ultimate authority seized of the issue between the two factions. He further rejected the contention that the 18 MLAs were acting in cahoots with the DMK merely because Leader of opposition Mr. M.K. Stalin met the Governor on the same day demanding a floor test as the MLAs submitted their representations. He noted that there existed no evidence to support this contention. Since the Speaker's order assumed that the MLAs acted in cohoots with the DMK, the order, Justice Sundar ruled, suffered from perversity. Further, the findings of mala fides and violation of principles of natural justice were reached on the ground that the Speaker had used a separate yardstick for Mr. Jakkaiyyan while exempting him and had also disallowed his ccross-examinationwhile using his statement against the MLAs. 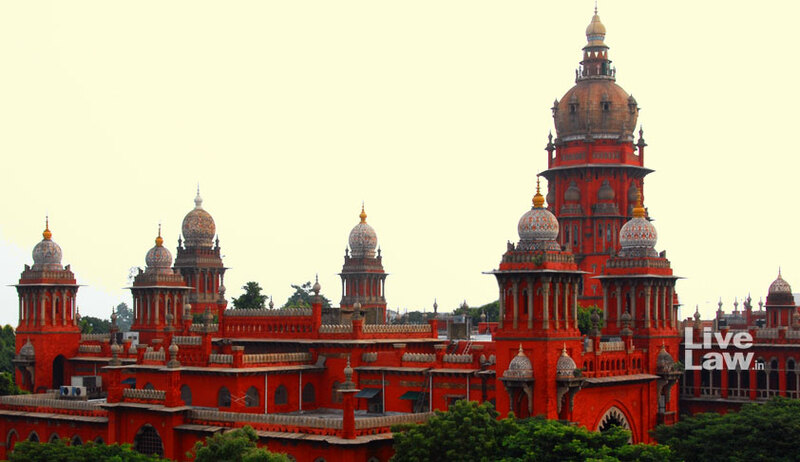 He further noted that letting in oral evidence is built in as an integral part of any proceeding under the TN Defection Rules, and observed, "In this case, owing to the aforesaid reasons and the peculiar facts of this case, this court is of the view that it was imperative to have permitted writ petitioners to let in oral evidence (which was sought for by writ petitioners) as that would have answered several crucial and critical questions (which now remain unanswered). To be noted, such unanswered questions include those which are determinants that go to constitute paragraph 2(1)(a) of Tenth Schedule which is the soul of this matter." Justice Sundar, therefore, set aside the impugned order.